Providing antioxidants, detoxification assistance, and anti-cancer and inflammatory benefits, beets boast a variety of vitamins and nutrients (source). Raw beets are a very good source of Dietary Fiber, Folate, Manganese and Potassium, and a good source of Iron, Magnesium and Vitamin C (source). 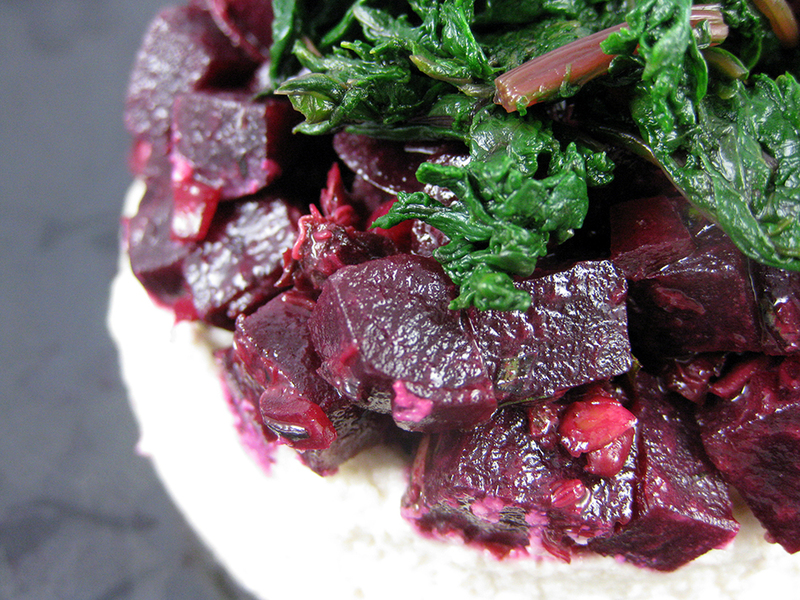 Raw beet greens, similar in taste to spinach, are also very nutritious, being hailed as a very good source of Calcium, Copper, Dietary Fiber, Iron, Magnesium, Manganese, Potassium, Riboflavin, Thiamin and Vitamins A, B6, C, E and K, as well as a good source of Folate, Pantothenic Acid, Phosphorus, Protein and Zinc (source). The following recipe is fashioned after that of a popular vegan restaurant in the northwest. 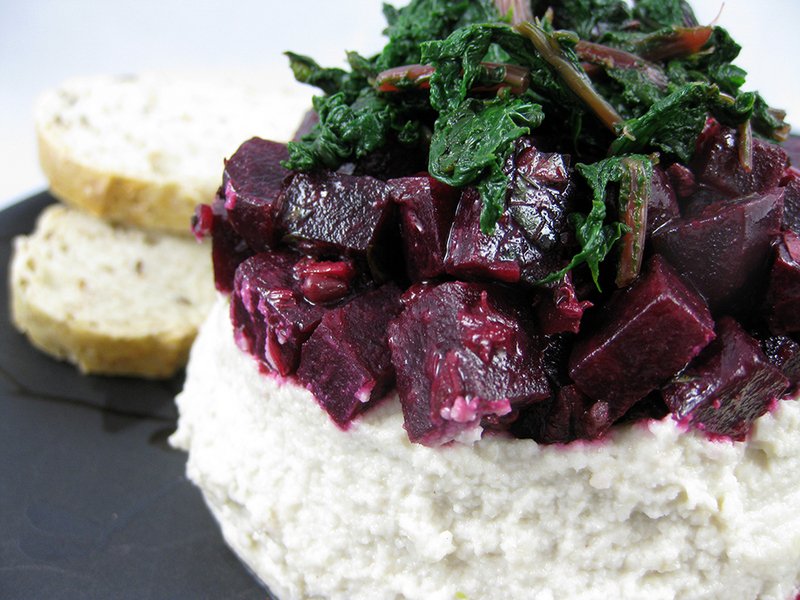 Combining fresh, seasoned beets over a bed of cashew cheese, topped with nutritious beet greens and served with baguette slices, this Beet Tartar will have you coming back for more. It certainly has me! Should you choose to do so, cashew cheese can be prepared ahead of time and frozen until ready to use; simply thaw and you are ready to go. Enjoy! Looks gorgeous! Love the different colours and textures. Yum! OMG. I’ve been looking for a recipe for this FOREVERRRRRR. Since I ate at Portobello 🙂 That has got to be one of my favorite restaurant dishes EVER!